While Solidarity and government tackle each other head-on in court, SA Schools Athletics scratches its plan for targets at school level. One case continued on Wednesday, while another was shut down as fast as it had erupted, as one of the most controversial issues in South African sport raged on this week. In Joburg, trade union Solidarity was at the labour court, attempting to have government’s transformation policies overturned after claiming its quota system was discriminatory. The union was responding to a decision by five national sport federations (football, rugby, cricket, athletics and netball) to sign agreements which forced them to reach various targets which were monitored by the Eminent Persons Group on Transformation. Should targets not be reached, the federations and their members faced potential sanctions from government. Five other sport codes (hockey, swimming, volleyball, tennis and table tennis) had since also signed similar agreements with the sports ministry. Opposing Solidarity in court, government had turned out alongside various sports bodies including the SA Sports Confederation and Olympic Committee (Sascoc), with officials claiming that targets (or quotas) were crucial in achieving equality through transformation. “SRSA opposes this Solidarity action and regards it as a platform to stall transformation and also in violation of sections nine and 10 of the constitution of the Republic of South Africa which enshrines and acknowledges the injustices of the past as well as recognising the need for redress of past discriminatory policies and practices through fair discrimination interventions such as affirmative action,” said the sports ministry, which was awaiting judgment from the court. Meanwhile, ending another explosive debate, SA Schools Athletics (Sasa) scratched a new quota system just one month after it was launched. 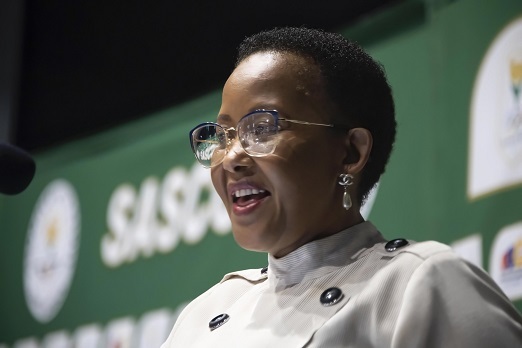 Sasa had been criticised after releasing a statement to members insisting that 40% of individuals in all primary and high school athletics teams needed to be from previously disadvantaged areas, and Afriforum Youth had sent a letter to the schools athletics body, accusing it of discrimination. Sasa said it had subsequently overturned its decision. “Sasa will in future align its selection criteria with the (national) federation, Athletics South Africa,” the schools body said.